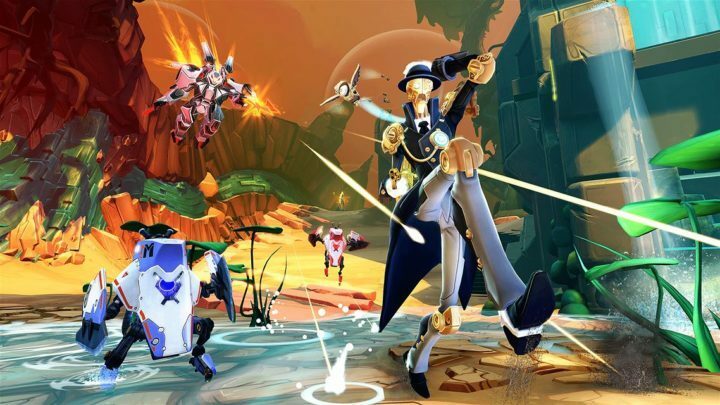 If you wanted to play Battleborn on your Xbox One, now is the time to act. This incredible game has come to Xbox One, offering you the chance to take part in a galactic battle to save the very last star in the universe. Back in April, we informed you that you could pre-order Battleborn on Xbox One and PC. The wait has finally ended because you can now buy this amazing game from the Xbox Store. The standard version of the game is priced at $59.99 while the deluxe edition is $79.99. For an extra $20, you can also get the season pass which offers access to five additional downloadable content packs, five new heroes, and new skins. This next-generation hero shooter combines role-playing games and traditional shooters. You can choose from 25 playable characters according to your preference because they all have different weapons and fighting style. There are plenty of unlocks and items to find as you advance through the game. Your mission is to fight against an unstoppable menace trying to destroy the last star in a dying universe. Choose your hero and team up with your friends in intense fights against your enemies. Use your special powers and your intelligence to outsmart them and protect the only start in the universe. Brace for the fight because the survival of the universe depends on you. Battleborn multiplayer fights are all about speed. Be the fastest to react and leave your opponents no time to defend themselves. Build a balanced team and wipe away everything you see ahead of you. Battleborn’s team-based competitive multiplayer can be played by up to 10 players online in 5v5 matches. Three multiplayer modes are available: Incursion, Capture, and Meltdown. Battleborn’s Story Mode is a narrative experience that can be played entirely by a single player. So, if you want to wage this survival war by yourself, select the Story Mode. Take a deep breath and start the battle!